1. To allow an increase in pit production capacity. Pits are produced at LANL’s Plutonium Facility-4 (PF-4), which currently can produce 10 to 20 pits annually. But that rate could be increased to 50 annually without building the CMRR-NF. Building the CMRR-NF would allow PF-4 to up production to 50 to 80 pits a year by moving some of the work now done in PF-4 into the CMRR-NF. 2. To provide replacement laboratory space for activities now undertaken elsewhere. 3. To provide additional storage space for plutonium and other nuclear materials. 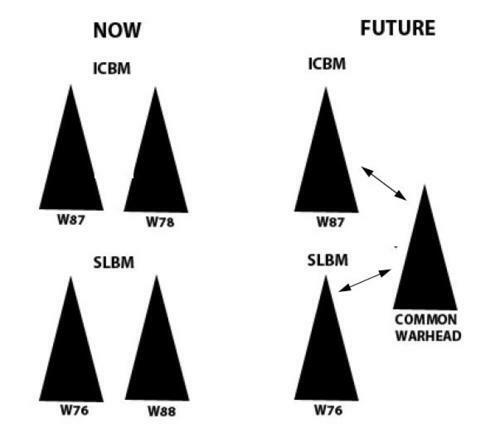 Our paper shows that the only plausible need to increase pit production capacity above the current level of 10-20 annually is to support a life extension program (LEP) for the W78 and W88 warheads—if they use new pits. However, even in this case, an annual production capacity of 40-45 pits would be adequate, and this could be accomplished without building CMRR-NF. If the United States reduced its arsenal below 3,500 weapons over the next few decades, an even lower annual production capacity would be required. The CMRR-NF would provide additional laboratory and storage space for handling plutonium and other radioactive materials, but there are other, likely less expensive, approaches. Delaying construction will allow these other options to be assessed. Given today’s budget climate, that makes sense. It’s important to keep in mind that plans for the CMRR-NF were made long before the New START agreement was negotiated and Obama’s 2010 Nuclear Posture Review was completed. And, following a lengthy Pentagon-led review of options, the President will soon make decisions about the size, structure and mission of U.S. nuclear forces, which will likely result in a smaller U.S. arsenal. Thus, delaying construction of the CMRR-NF will also provide time for the administration to take these nuclear weapons policy changes into account.